Trust a criminal attorney or personal injury lawyer from Jackson Law Group CT in Shelton, Connecticut, to guide you throughout the entire criminal or civil litigation process. The level of involvement we have for our work allows us to adapt to each client’s individual needs. Jackson Law Group CT provides invaluable advice and passionate representation for civil and criminal litigation. Our expert litigators believe that results matter, so when the stakes are high, clients turn to us without hesitation. In our firm, litigation success is a tradition. 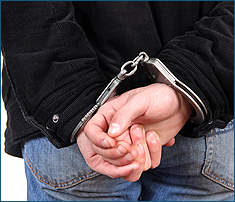 Our firm has defended many clients in criminal cases of various degrees; from minor infractions to felonies. Clients with pending criminal investigations could take advantage of our services for a speedy trial. Moreover, we counsel law enforcement on legal actions whenever necessary. Lastly, any business that aims to develop policies and guidelines related to Criminal Law can come to us for assistance. Personal injury cases carry both civil and criminal elements. We will fight for the victims, and make sure that they get what they deserve after their accident. Our firm is home to a full team of lawyers and paraprofessionals equipped with many years of experience in successfully handling injury claims. Contact us in Shelton, Connecticut, for responsive criminal or civil litigation aid from a reputable criminal attorney or personal injury lawyer.